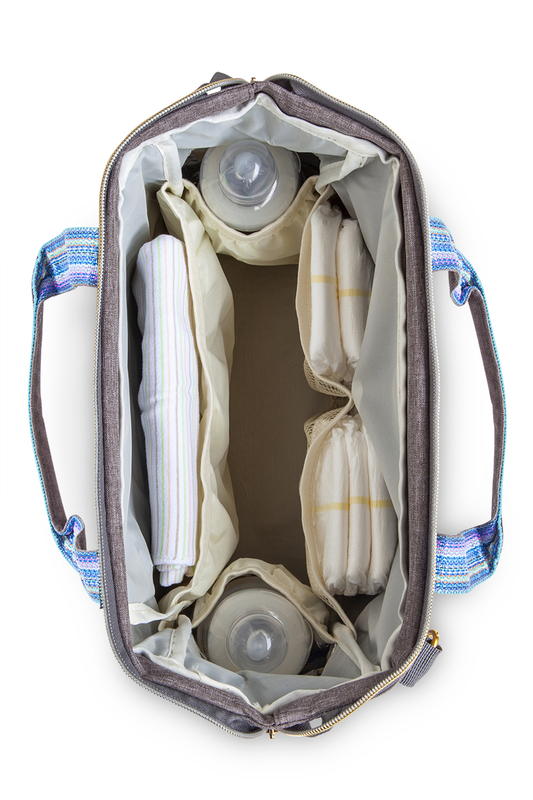 3 separate inner pockets, PLUS two insulated pockets - Perfect for keeping milk bottles warm and water bottles cool. 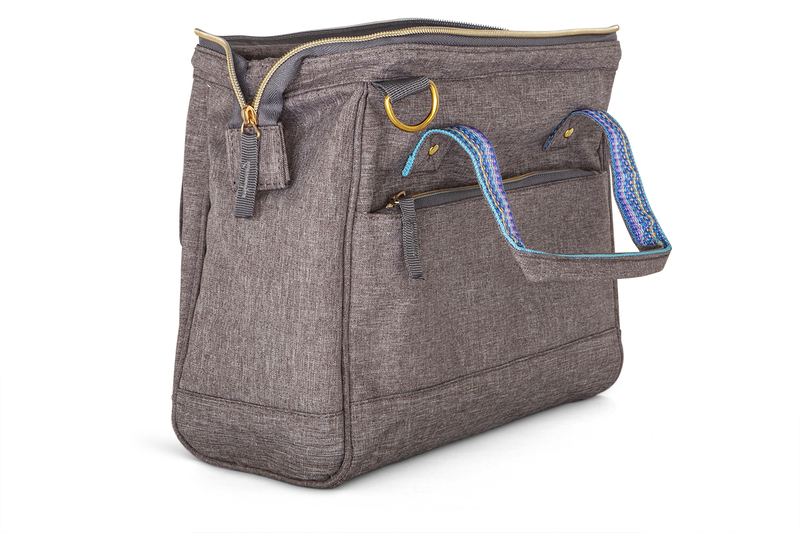 The bag benefits from a wire top around the zipper area so it holds its shape when open. Can be worn on one shoulder or across the body. 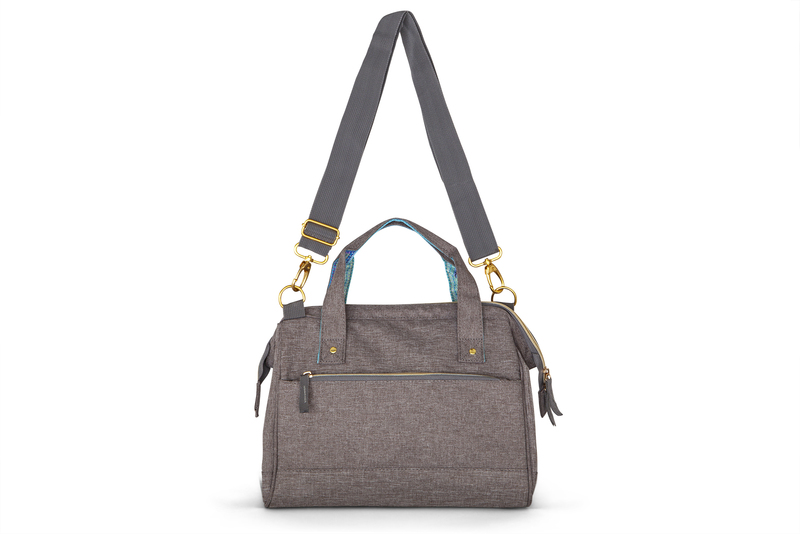 The long shoulder strap can also be un-clipped and carried as a handbag using the small handles.